I’m moving in to my daughter’s room! Ha, yeah right, I’m sure that she would love that! Well, it’s just that I’m loving how her room is coming together! Ah, the mix of grey and turquoise is making me happy. So much so that I decided to have my toes painted turquoise the other day when I had my pedicure! Let me up date on what I’ve been doing in case you missed anything. I painted her room Zicron, which is a light silver grey. I shared this trick painting the walls without using painters tape HERE. 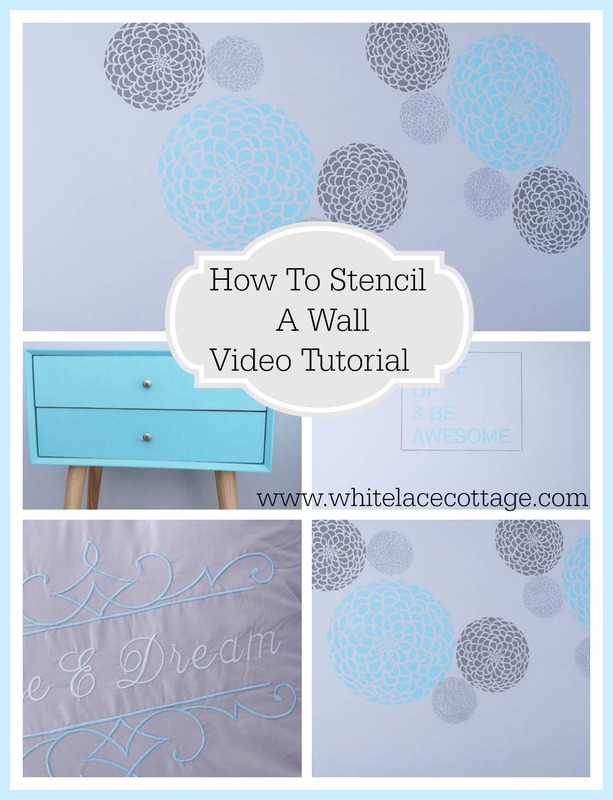 Then I shared how to easily add an accent wall using stencils. Next, I shared how to hem curtains without sewing. And today I’m sharing tips on painting furniture. I see that one of my handles is a bit cooked in the photos, I’ll fix that. Anyway, here’s a video on painting furniture. So what will I be sharing next? If you take a close look into the mirror, you’ll see a lampshade or two in the background. I just finished updating her lampshades, I’ll share how simple it was to reuse what I had. 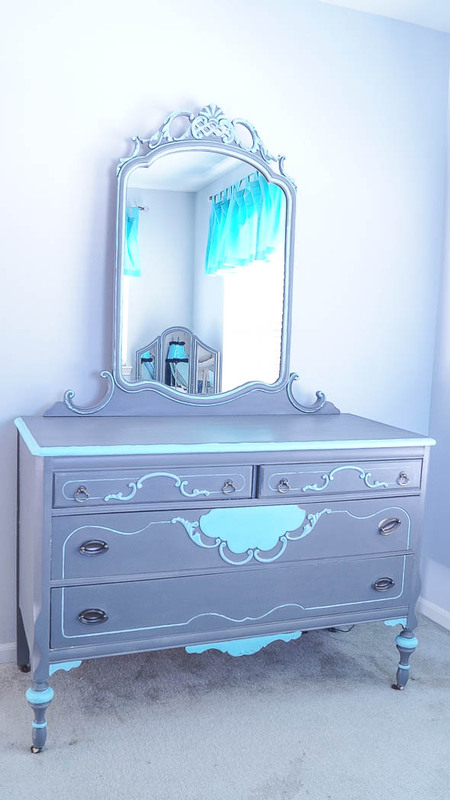 I still need to update her bench next to her vanity, and update her curtain rod finials. I’m also looking for a frame for that stencil I added to her wall, I think I might have one. I just need to search for it. Then I’ll be revealing her room. It looks so different, and my daughter is loving it! Thanks so much for the support on my last post, you can read that here—> How To Keep Your Teenager Safe. Make sure you subscribe to my new YouTube channel HERE. Thanks for sharing the valuable and interesting tips regarding the Painting for Furniture. Loved it! !